We are Med Insight LT, a subdivision of Insight Learning Technology, Inc.
We are a team of scientists, educators and technical talent dedicated to revolutionizing learning in the home, school and workplace. We are Insight Learning Technology. We apply research in cognitive science to achieve learning breakthroughs in areas relevant to training in the health sciences.Our methods adapt to individual learners and address crucial dimensions of learning and expertise -- such as pattern recognition and perceptual learning -- that have traditionally been considered "unteachable" and only gained via on-the-job experience. These methods have been developed by our parent company, Insight Learning Technology, Inc. Insight Learning Technology, Inc. is a learning technology company that develops and applies cutting-edge research in cognitive science to achieve breakthroughs in computer-based learning. It has been the subject of much press coverage, its learning products and modules having been featured in articles by the New York Times and New Scientist magazine and have even appeared on CBS News - The Early Show. Research sponsors include the U.S. Department of Education and the National Science Foundation, as well as a variety of established corporations in the medical and pharmaceutical industries. We are a learning technology company applying cutting-edge research in cognitive science to achieve breakthroughs in computer-based learning. Our aim is to revolutionize learning in the workplace, school, and home. We have devised methods that adapt to individual learners and address crucial dimensions of learning and expertise—such as pattern recognition and perceptual learning—that have traditionally been considered "unteachable." Insight Learning Technology was founded in 2002 by distinguished scientific researchers in the field of the learning sciences: Philip Kellman, Ph.D and Christine Massey, Ph.D.
Dr. Kellman and Dr. Massey have conducted decades of research in cognitive science at top-tier universities, funded by top-tier entities such as the NSF, US Army, and the Department of Education. They realized that new discoveries in how the brain learns, especially in the areas of adaptive and perceptual learning, have enormous potential to improve education for all students. These discoveries address aspects of learning such as pattern recognition and memory persistence that are difficult to tackle through conventional instructional methods. 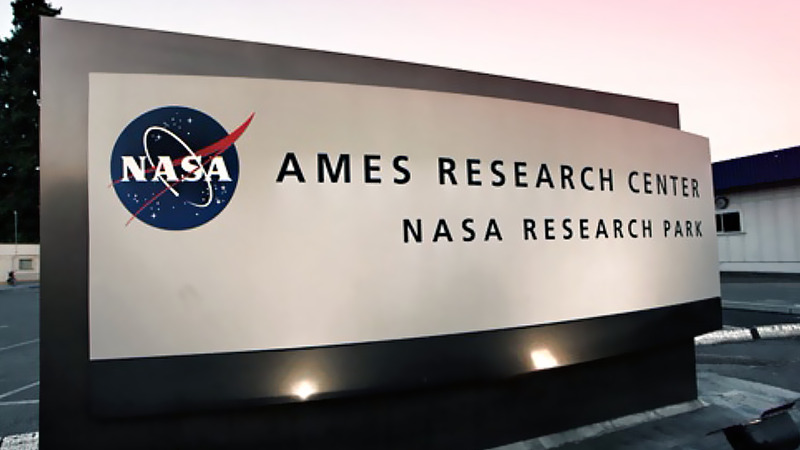 Our perceptual learning technology was first put to use in aviation training in research carried out at NASA Ames Research Center in the 1990s, with remarkable results. Since then, Insight has put the same approach to education with a strong focus on K-12 mathematics learning. Insight's innovative technologies have applications in a wide variety of professional domains, including commercial, medical and military. Over the last few years, we have built a strong team of 18 educators, researchers and technical talent. In 2012, Insight launched Core Math Insight and Algebra Insight and has conducted pilots in elementary and middle schools across the US with more continually being added. Insight’s adaptive learning and perceptual learning technologies have been tested through years of scientific research in laboratories at UCLA and the University of Pennsylvania and at K-12 partner schools. These methods are so innovative and promising that the US Department of Education, the National Science Foundation, NASA, and the Department of Defense have invested more than $8 Million in competitive grant funding to advance research and development. Insight has also received direct funding through the US Department of Education's Small Business Innovation Research (SBIR) Program. 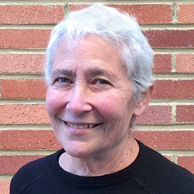 Dr. Kellman is a Distinguished Professor and Chair of the Cognitive Area in the UCLA Department of Psychology and Director of the UCLA Human Perception Laboratory. He directed the UCLA Cognitive Science Research Program from 1993-2003 and was Chair of the Division of Natural Sciences and Engineering at Swarthmore College from 1988-91. In recent years, his research has been supported by the US Department of Education, the National Science Foundation, the US Department of Defense, NASA, and the National Institutes of Health. He has won several national awards for research, including the William Chase Award for early career contributions in cognitive psychology, the Boyd McCandless Award from the American Psychological Association for early career contributions in developmental psychology, and the Wolf Aviation Prize for applications of perceptual learning modules to aviation training. He is the author of numerous scientific papers, as well as patents awarded and pending in adaptive learning technology, perceptual learning technology, and air traffic control displays. Dr. Massey is the Director of Research and Education at the Institute for Research in Cognitive Science (IRCS) at the University of Pennsylvania, and she directs PENNlincs, a research and development group linking research in cognitive science to education in formal and informal settings. She has implemented a number of major collaborative research and development projects investigating students’ learning and conceptual development in science and math, development and evaluation of new curriculum materials, learning technology, and educational programs. She is a member of the cognitive science team for the national IES Research and Development Center for Cognition and Science Instruction, funded by the U.S. Department of Education, and also participated in the Metromath Center for Math in America’s Cities, a Center for Learning and Teaching funded previously by the National Science Foundation. 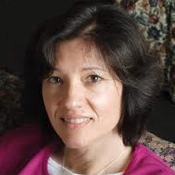 She is a member of the Study Committee for the National Research Council’s study “Defining Deeper Learning and 21st Century Skills,” and she has also been a participant and presenter for several NRC workshops and summit meetings. Dr. Massey received her Ph.D. in psychology with a specialization in cognitive development from the University of Pennsylvania. She is an Eisenhower Fellow and has also been a fellow in the Spencer Foundation/National Academy of Education’s Postdoctoral Fellowship program. 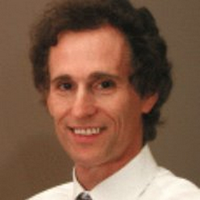 Dr. Krasne is Research Professor in the Department of Physiology of the David Geffen School of Medicine at UCLA. She has served on the School of Medicine’s faculty since 1975. Her early research investigated the physical basis of ion selectivity in cell membranes. More recently, Dr. Krasne has been involved in development of the medical school curriculum and tools for enhancing learning. She co-chaired the first curricular block of medical school from 2003 to 2011, receiving the School’s award for Excellence in Education in 2005. Her current research focuses on developing perceptual and adaptive learning modules (PALMs) to enhance pattern recognition in areas relevant to medicine and examining their effects on the development of expertise. Dr. Krasne is also a past Director of UCLA ACCESS, the admission route and first-year program of graduate studies for 13 PhD-granting departments and programs in the molecular, cell and integrative life sciences. 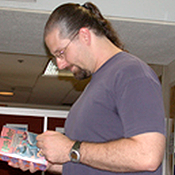 Tim is an experienced computer programmer and educational software designer who has served as Lead Developer for the UCLA Human Perception Laboratory for over 10 years and at Insight Learning Technology for the past 7 years. 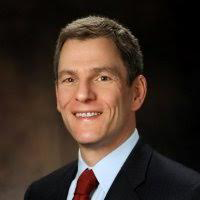 Scott is President and CEO of American Eagle Lifecare Corp. His previous positions include serving as Chief Executive Officer of Care Investment Trust, Inc. (NYSE: CRE) and SVP for Business Development at Healthcare Property Investors, Inc. (NYSE: HCP), where he was responsible for directing business development and sourcing investment opportunities. In addition, Scott served as SVP and Treasurer of Tenet Healthcare Corporation (NYSE: THC) overseeing the company’s corporate finance and cash management functions. He has founded and operated a number of successful companies, including Medical REIT, which was merged into Omega Healthcare in August 1993 and American Eagle Lifecare, a 501(c)(3), not-for-profit entity, that provides residential solutions for the elderly. Scott received an AB in political science with high distinction and a JD from the University of Michigan. 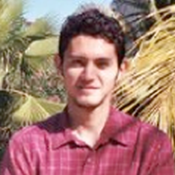 Everett is a postdoc in the UCLA Department of Psychology, with special expertise in adaptive learning. 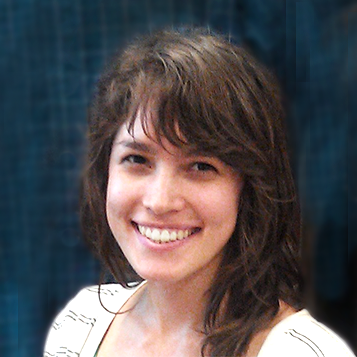 Rachel coordinates projects and personnel, generates documentation, and produces content for learning modules. Dara is a product designer and helps the team with design challenges. He weaves typography, color, space and texture together to help our users successfully navigate our products. With special expertise in responsive design, he creates interfaces that are both beautiful and accessible. His work relies on user-centered design principles to produce high-quality visuals—from concept to execution—across desktop and mobile platforms. Dara is a UCLA Design Media Arts alumni. Our research is supported by the Institute of Education Sciences (IES), the research arm of the U.S. Department of Education. In 2010, Insight Learning Technology received a Fast-Track SBIR award from the IES Small Business Innovation Research (SBIR) program in order to further develop our Perceptual Learning Module (PLM) products. Previously in 2006 we also received a Cognition and Student Learning grant to research the viability of perceptual learning techniques on elementary and middle school math learning. For more information, click here to visit the IES website to read a brief description about us. Insight Learning Technology was awarded a Fast-Track SBIR award in 2010. The purpose of the project was to improve middle school algebra learning, with a focus on developing students' pattern recognition and fluency skills through the use of perceptual and adaptive learning technologies. Develop architecture, database, and interface, to make two existing perceptual learning modules (PLMs) available for web-based delivery. Develop three new web-delivered PLMs for Algebra learning. Develop ScoreReporter program for monitoring PLM progress and assessment. Develop and refine teacher manual for PLM and ScoreReporter products. Examine feasibility, usability, and promise of the products by testing each of the modules in six classrooms over the course of a school year. For more information, click here to view the official description of the SBIR contract on the IES website. The Cognition and Student Learning (Cognition) research program looks specifically to bring recent advances in cognitive science into education practice, with examples including new methods of instruction and computer tutors. Professor Philip Kellman (founder of Insight Learning Technology) at the University of California, Los Angeles (UCLA) was awarded this grant in 2006. Its main purpose was to help students in grades 3-8 to develop a deeper understanding of measurement and fractions as well as to connect these domains to the concepts of multiplication, division, ratio, and proportion. Furthermore, the focus of the project was to test the efficacy of perceptual learning methods in conjunction with other modes of instruction. Computer-based Perceptual Learning Modules (PLMs) aimed at achieving fluency in recognizing and discriminating key structures and relationships, were developed for this purpose. Schools located in California and Pennsylvania were involved in a controlled study designed to test the effects of perceptual learning techniques as compared to the existing mathematics curriculum. Kellman, P.J., and Garrigan, P.B. (2009). Perceptual Learning and Human Expertise. Physics of Life Reviews, 6 (2): 53-84. Kellman, P.J., Massey, C.M., Roth, Z., Burke, T., Zucker, J., Saw, A., Aguero, K.E., and Wise, J.A. (2008). Perceptual Learning and the Technology of Expertise: Studies in Fraction Learning and Algebra. Learning Technologies and Cognition: Special Issue of Pragmatics and Cognition, 16 (2): 356-405. Kellman, P.J., Massey, C.M and Son, J. (2010). Perceptual Learning Modules in Mathematics: Enhancing Students' Pattern Recognition, Structure Extraction, and Fluency. Topics in Cognitive Science, Special Issue on Perceptual Learning, 2 (2): 285-305. Massey, C.M., Kellman, P.J., Roth, Z. and Burke, T. (in press). Perceptual Learning and Adaptive Learning Technology: Developing New Approaches to Mathematics Learning in the Classroom. In Stein, N.L. And S. Raudenbush (Eds. ), Developmental and Learning Sciences Go to School: Implications for Education. New York, NY:Taylor and Francis. Mettler, E., and Kellman, P.J. (2009). Unconscious and Abstract Perceptual Learning of Hidden Patterns. In Proceedings of the 2009 Meeting of the Vision Sciences Society. Son, J., Massey, C., Roth, Z., Longmire, W., Burke, T., Zucker, J., and Kellman, P. (2008). Perceptual Learning in Mathematics Education [Abstract]. In B.C. Love, K. McRae, and V.M. Sloutsky (Eds. ), Proceedings of the 30th Annual Conference of the Cognitive Science Society (p. 2366). Austin, TX: Cognitive Science Society. For more information, click here to view the official description of the Cognition and Student Learning Grant on the IES website.